(W) Ed Brubaker (A/CA) Sean Phillips, Jacob Phillips SERIES PREMIERE! THE RETURN OF THE MOST ACCLAIMED CRIME COMIC OF THE 21ST CENTURY! 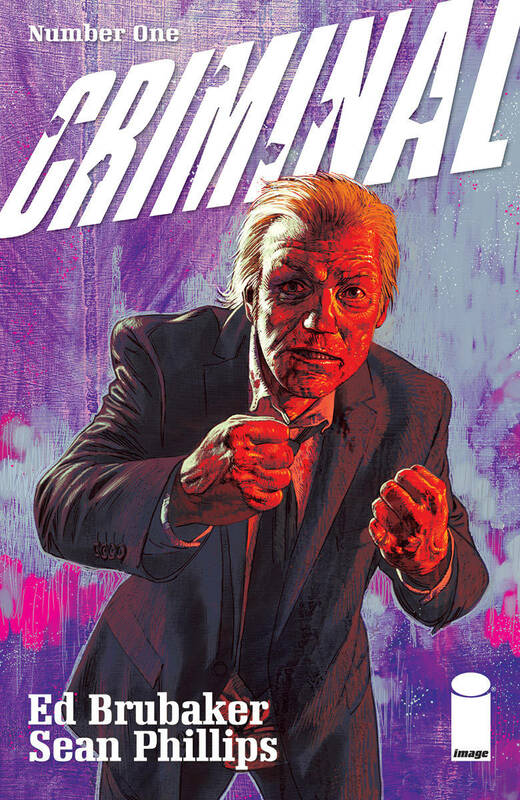 Hot off their bestselling series KILL OR BE KILLED and their original graphic novel MY HEROES HAVE ALWAYS BEEN JUNKIES, crime comic masters ED BRUBAKER and SEAN PHILLIPS finally return to their most-demanded title-as a new MONTHLY SERIES! In this double-sized (at no additional cost!) debut issue, Teeg Lawless is back in town. But he finds himself in more trouble than ever, thanks to his delinquent teenage son-and this time, fists and bullets may not be enough to solve his problems. A perfect introduction to CRIMINAL and its dark, exciting world, this series will also include back page art and articles to bring readers more fully into the noir experience..